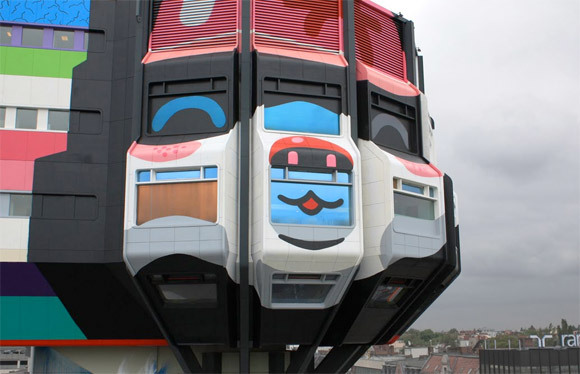 The massive urban art project, TURMKUNST has ended and left Berlin basking in the glory of the world’s largest Teddy Trooper. 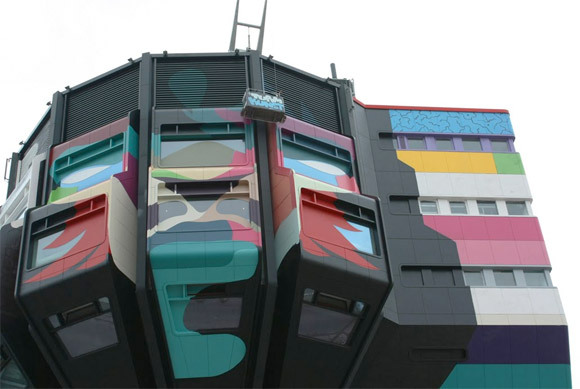 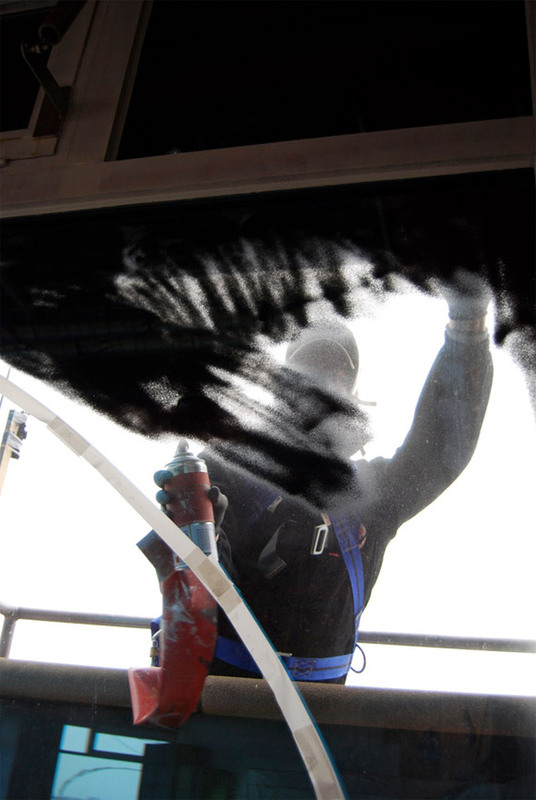 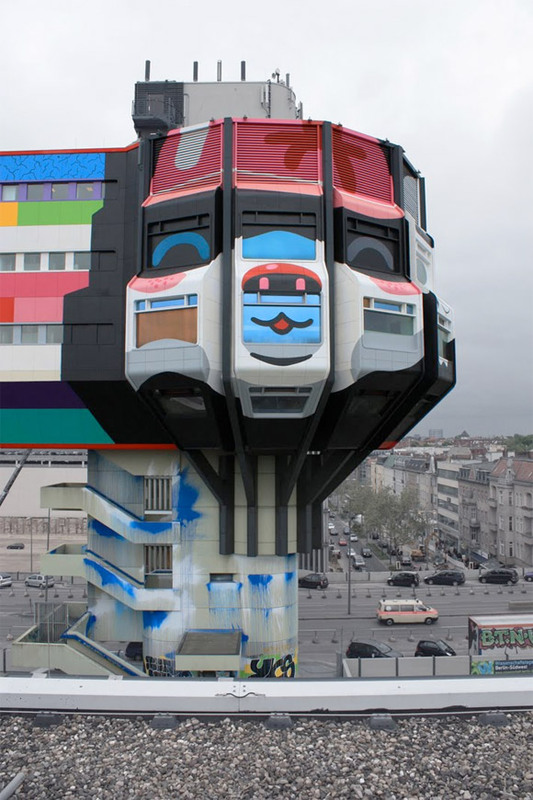 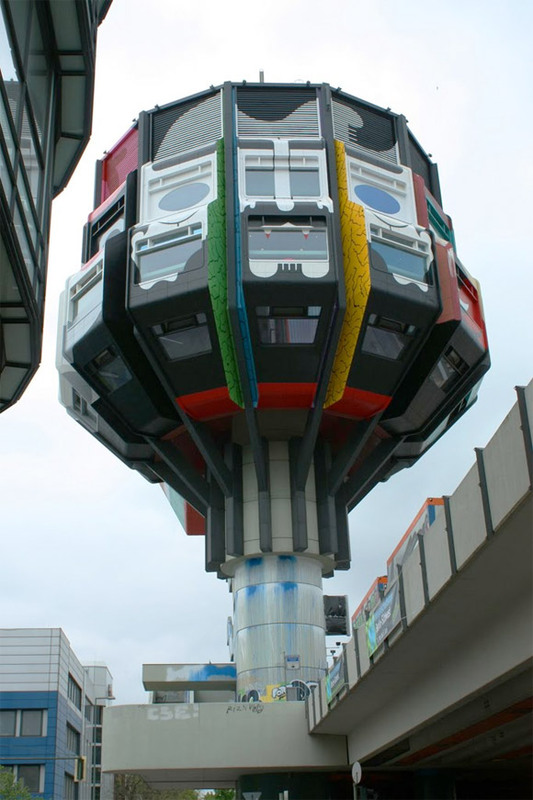 After six weeks and 2,000 liters of paint, the artists, HONET, SOZYONE, Craig KR Costello aka KRINK and Flying Fortress transformed the infamous Bierpensil Tower into a 160-foot (50-meter) tall work of art. 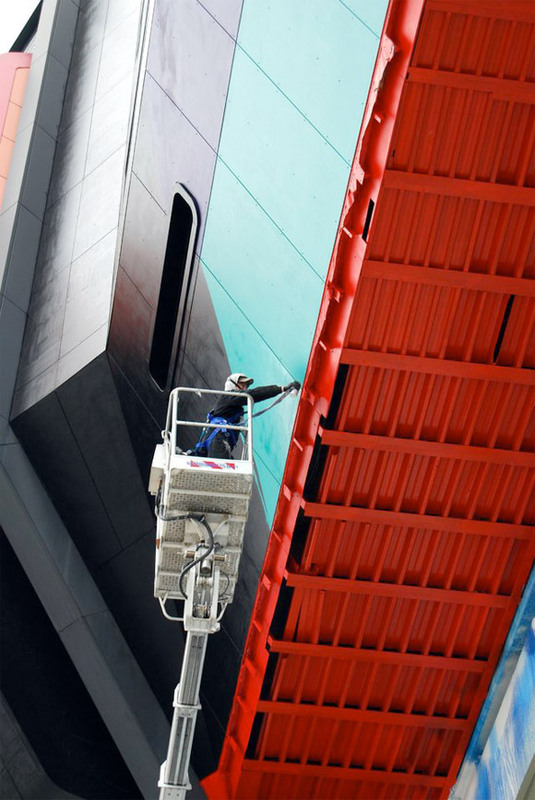 Inside the walls of the massive mural is open air gallery space with plans of rotating art in the near future. 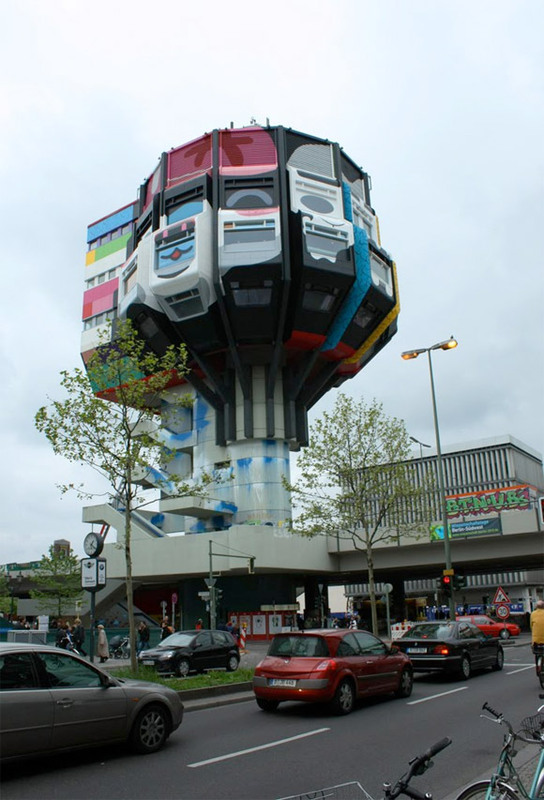 There is also a book documenting the whole project called TURMKUNST: XXL Street Art.